New York, NY – This past Wednesday marked the release of the results of the Specialized High School Admissions Test (SHSAT), the sole determinant of admission into New York City’s prestigious Specialized High Schools. Stuyvesant High School, Bronx High School of Science, and Brooklyn Technical High School offer acceptances to a total of about 3,000 students per year out of 30,000 students who take the challenging exam. The SHSAT program at Khan’s Tutorial (KT) is conducted year round with students starting classes 8-12 months before their exam. Since 1994, KT has helped over 2,607 students gain admission to these competitive schools. For 2016, a total of 338 students have been accepted through Khan’s Tutorial, shattering last year’s total record of 254 accepted students. This year the record is shattered again with 391 acceptances. “I’m extremely proud to see that the hard work of our instructors, managers, directors, senior teammates, and particularly our students and their families has finally paid off. The growth of our program and the increase in our acceptances is due to the continuous training of our talented instructors. We are constantly developing our program to better serve our families and guide our students into the Specialized High Schools,” said Mohammad Hossain, Vice President of Khan’s Tutorial. For Fall 2017, the Bronx High School of Science’s incoming freshman class will be comprised of over 17% of Khan’s Tutorial students. 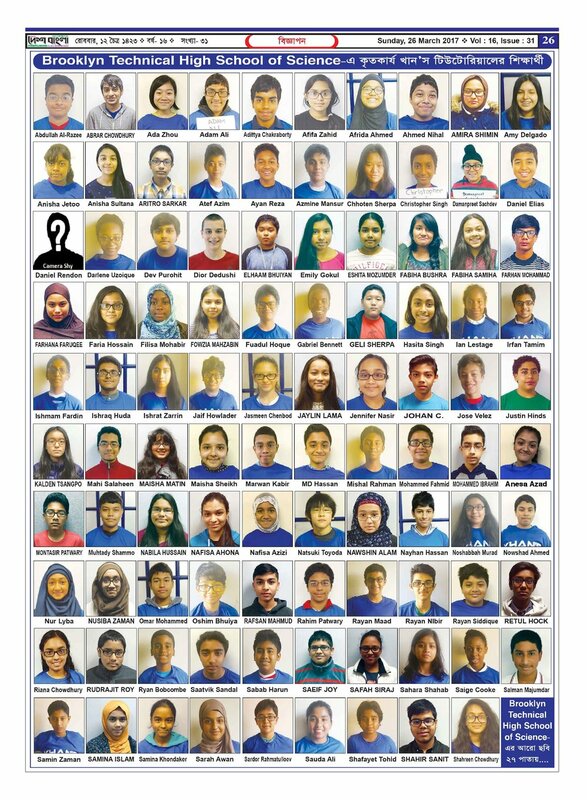 Brooklyn Latin’s incoming freshman class will be comprised of over 20% of Khan’s Tutorial students. Due to Khan’s Tutorial’s work, Bengali is the second most spoken non-English language in the homes of Specialized High School students. Additionally, Khan’s Tutorial has helped 2 students gain acceptance via the late SHSAT (for those who move into NYC after the original SHSAT is administered). "We never imagined nearing 400 acceptances in a single year when we got started in 1994. Attending a New York City Specialized High School is an incredible honor and an achievement that requires the hard work of every single Khan's Tutorial student and more commonly a dedicated Khan's Tutorial parent. The students that succeeded most in our program last year were the ones that got started on their classes early, attended classes and mandatory parent-teacher conferences consistently, and diligently practiced at home. Getting into a Specialized High School is not only an achievement for the student, but the entire family, and even our community,” said Dr. Ivan Khan CEO & President of Khan’s Tutorial. 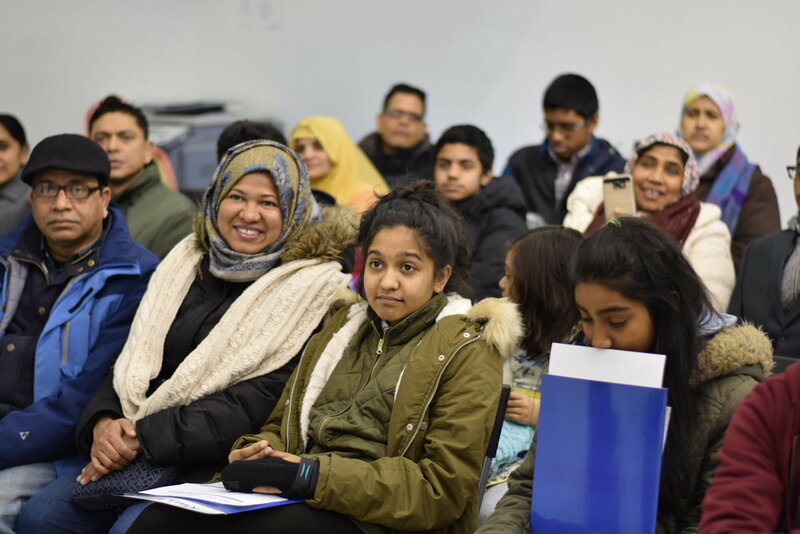 With 10 locations in the outer boroughs of New York City, Brooklyn, the Bronx, and in the Jackson Heights, Jamaica, Astoria, Ozone Park, and Floral Park neighborhoods of Queens, Khan’s Tutorial primarily serves in assisting families in low-income, new immigrant neighborhoods. Over 2,607 students have gained admission to New York City’s Specialized High Schools through Khan’s Tutorial since its inception in 1994.